About a year ago my brother-in-law turned to the Paleo diet. 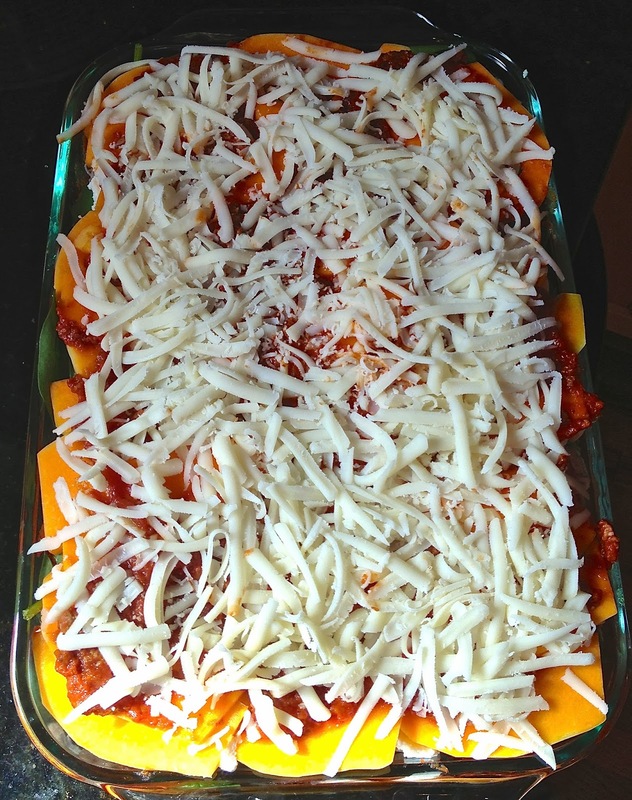 At his son's 1'st birthday party he made the traditional Italian food but also made a delicious Butternut Squash Lasagna. After trying it I fell in love and it quickly became a go to meal when butternut squash is in season. You can make it in many different varieties and I would encourage taking my recipe below and making it your own. 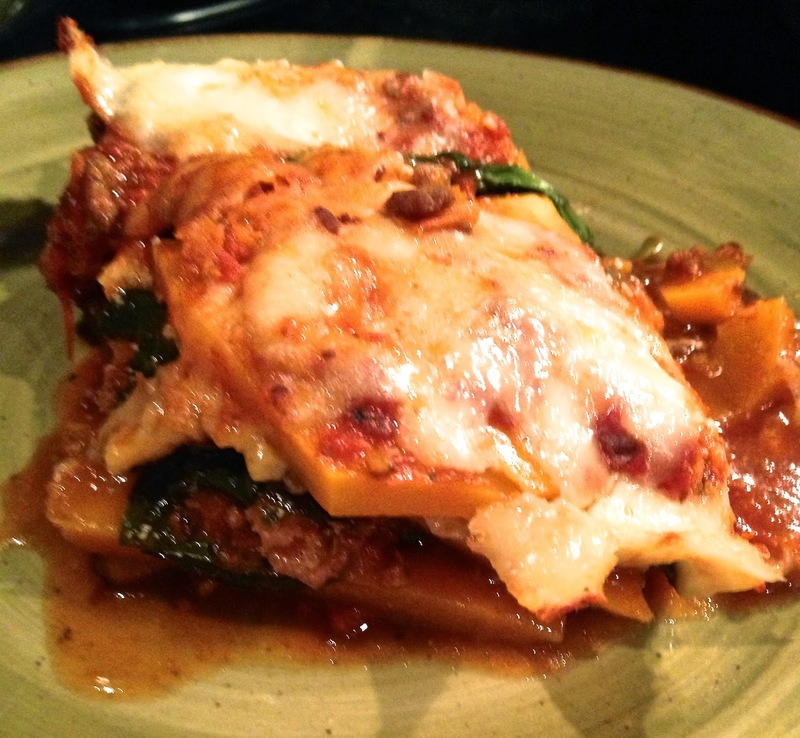 Tent the lasagna with aluminum foil and put it in the oven for 45 - 55 min. I would recommend sticking a fork in through the center. If it slides through easily it is ready. Remove the foil and put back in the oven for another 5 - 10 min to make sure all the mozzarella is melted. It may not be a pretty dish but it is delicious. Depending on the amount of veggies you use there can be a lot of excess liquid at the bottom of the pan. I usually remove a portion of the liquid. Experiment with different veggies - eggplant or zucchini could be yummy with this or slices of tomato. I am a total cheese person but trying to limit my intake while eating better. 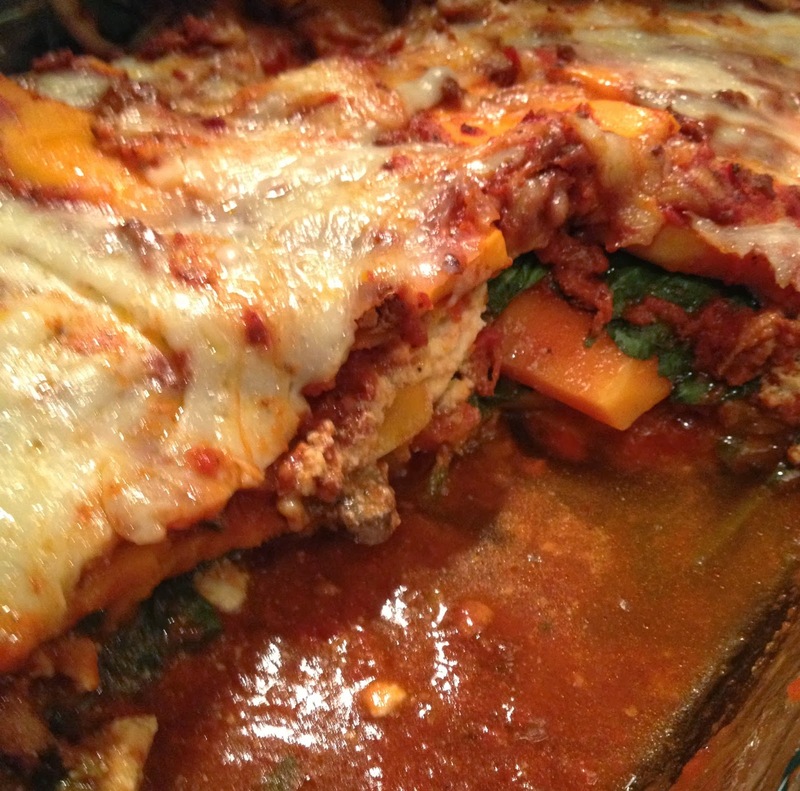 That said, this is so good with mozzarella cheese covering each layer!